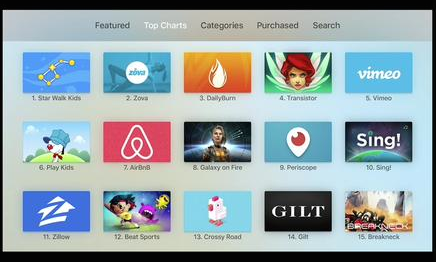 Tomorrow, Apple will unveil an upgraded Apple TV set-top box that includes an Apple TV App Store featuring apps built by third-party developers, BuzzFeed News previously reported. Games are slated to be a big focus for the Apple TV platform that’s built on iOS, thanks to a multi-functional new remote controller reported by 9to5Mac that includes motion-control. But the Apple TV platform will also support an array of other experiences. 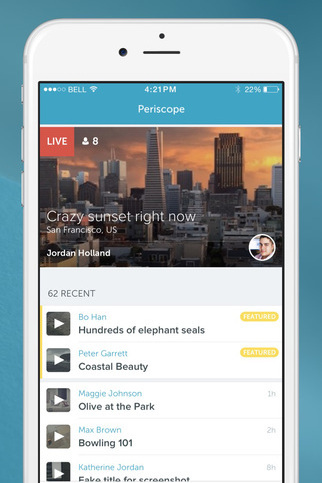 Few of the apps have been outed yet, but sources confirm Periscope will be one of them. Though we can’t confirm the exact functionality of the app, it’s likely to be focused on watching streams. Periscope made videos viewable on the web in June without the ability to broadcast, and the Apple TV app could work similarly. Periscope was acquired by Twitter in January and launched the mobile, ephemeral live-streaming app in April. It now has over 10 million registered users and sees 40 years of watch time per day, its CEO Kayvon Beykpour recently said on a stream. We don’t have a specific unveiling or launch date for Periscope on Apple TV. Twitter and Periscope did not respond to our inquiry before press time. The app might be previewed in tomorrow’s Apple keynote to show off the potential of the Apple TV software development kit. Apple wants to get developers’ minds swirling with ideas for what they could build. The goal is differentiation in two senses. Apple wants the Apple TV to do things that other set-top boxes from Amazon and Roku can’t. That means getting developers to take advantage of potential hand-off or multi-screen options afforded by iPhones and iPads also running on iOS. Apple also wants to define the future of the living room by inspiring developers to do more than just translate their desktop and mobile products to the television. The much bigger landscape screen, more powerful hardware that doesn’t depend on a battery, faster connection speeds, and the versatile controller with touch and voice input all open new opportunities for app makers. Done right, the Apple TV platform could transform much more than traditional video content consumption. Gaming, news, social, and other areas could all see a renaissance on the tube. Seductive third-party experiences could help sell more of the new Apple TV hardware units. Building an audience this way could boost Apple’s leverage as it negotiates deals with traditional cable channels to bring their content to Apple’s forthcoming live Internet TV service. Bloomberg Business says the TV service has been delayed until 2016 because those negotiations were progressing slowly. If Periscope can expand on the value of its live-streaming app, not just its size, by coming to the Apple TV platform, it could inspire other social developers to start tinkering with television too.